In the U.S., there are over 1 million doctors of medicine. What’s more, this number is growing every day. In such a large market, it can be difficult as a healthcare professional to truly carve your niche and acquire the patients you need. Many people assume that the healthcare industry doesn’t need to rely on advertising, but this couldn’t be farther from the truth. It’s important to market your services to customers so that you can stay competitive and valuable. 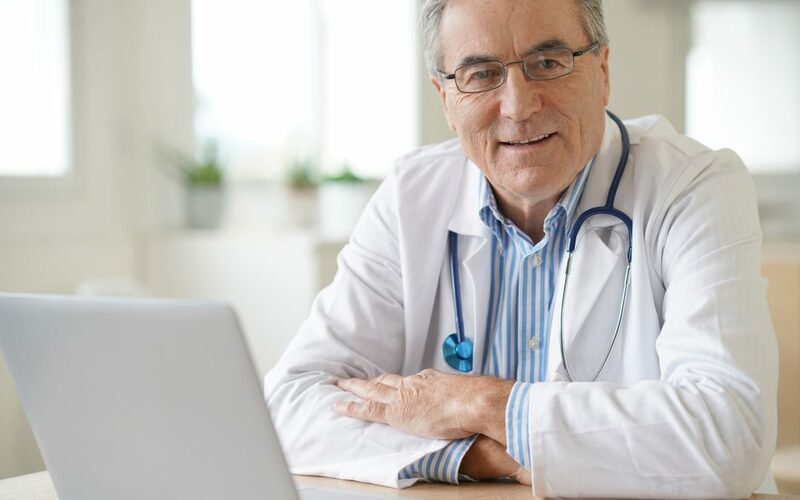 Digital marketing can be your solution to growing your local patient base and building a powerful reputation as a trustworthy and caring practitioner. In this post, we’ll look closely at the best types of digital marketing for healthcare professionals! Many internet users rely on search engines like Bing or Google to find information. SEO means optimizing your online content so that it is more likely to appear as results for popular Google searches. As a healthcare professional, you have the advantage of being part of an industry that is always in demand. But SEO can help leverage your specific healthcare niche so that you can fully harness the potential of this demand. Well-optimized content can ensure that you achieve first-page Google rankings for the searches likely to draw the most patients. As a healthcare professional, you encounter people on a daily basis. What’s more, much of your work hinges on your relationships with patients. It’s possible to build these relationships online, as well as in the office. Social media is a great platform for building relationships with potential patients and establishing your reputation as a healthcare professional. Digital marketing for healthcare should incorporate social media in some capacity. Use Twitter, Facebook, LinkedIn, and/or Instagram to build business profiles. Stay active on these profiles in order to engage with potential and existing patients. Share posts that may be relevant to your patient base. These may include information about your hours of availability, answers to common medical questions, or patient care tips and strategies. Social media can also help you create virtual partnerships. Re-share posts by other healthcare professionals or industries that are of value to you. Patients will be more likely to defer to professionals who are linked to prominent institutions. You can also use Facebook to acquire patient reviews and feedback. Enable reviews under your business profile “settings.” You may also want to send out surveys to your existing patients to ask for valuable commentary. Once you have your business profiles established, make sure to enable messaging capabilities. Messaging gives you a valuable opportunity to engage with patients in real time. Patients are likely to prioritize health care services that are willing to connect with patients on their level. Effective digital marketing for healthcare professionals should emphasize such transparency and engagement with patients. On your social media profiles, encourage patients to reach out to you if they have questions through Facebook or Instagram messaging systems. You can even use messenger systems to deliver ads to existing patients. Some of the best types of digital marketing for healthcare professionals involve the simple use of video. Successful digital marketing is often geared toward the consumer. When it comes to targeted advertising, consumers are more likely to respond to content that is intriguing and informative. Video content is always intriguing because it has the capacity to captivate audiences in a way that images simply cannot. Live video can also enable you to share information with patients in real-time. Use YouTube or Facebook Live to build some video into your digital marketing scheme. Patients like to be informed, especially when it comes to their own self-care. Keep them informed by maintaining a blog on your website. Blogs give you a chance to provide relevant and educational content to your patients. What’s more, they can enable you to share your voice beyond the professional scope of your website. When it comes to digital marketing for healthcare professionals, blogs can also give you more material for search engine optimization campaigns. You’ll also be able to share blog posts on your social media accounts. Before 2019, there will be over 3.8 billion email users in the world. Harness the great power of this statistic by building email into your digital marketing strategy! Send regular e-newsletters to your subscribers and patients. In these newsletters, incorporate links to recent blog posts, reminders about seasonal vaccines and medications, and/or other useful information for your patients. You can also use email to advertise relevant promotions or request patient feedback after a particular service. The most effective forms of digital marketing for healthcare professionals incorporate highly valuable content. In fact, content marketing is the leading digital marketing tool, behind SEO. This is largely due to the fact that patients are picky in choosing the ads they wish to respond to, and they are picky about their providers. Whatever content you do use in your digital marketing, make sure it is top-notch. Top-notch content is always useful, well-written, interesting, and sometimes plain humorous. You don’t have to take all of this marketing into your own hands. Professionals can help! A brilliant digital marketing strategy for healthcare professional simply involves outsourcing your marketing efforts. Industry experts can help craft a full-bodied campaign that incorporates a variety of the ideas here and gives you the results you need. The healthcare industry is in great demand, but that doesn’t mean you don’t need digital marketing as a working professional. Build your online reputation and visibility by relying on SEO, social media, and email marketing. Engage with your patients through live video, social media messaging, and intriguing content. All in all, experts can help you tailor a campaign that suits your needs — and your patients’. At SimplySearch Marketing, we’re ready to help you identify the best digital marketing solutions for your industry. Start a conversation with us today!